Soon after the Narendra Modi government came to power in 2014, it had announced an additional compensation of Rs 5 lakh each to the next of kin of victims of the anti-Sikh riots. The amount in the 2017-18 Budget was Rs 15 crore. New Delhi: A modest Rs 10 crore has been earmarked for handing out enhanced compensation to victims of the 1984 anti-Sikh riots in the Budget 2018-19. The amount was allocated in the budget, presented by Finance Minister Arun Jaitley in the parliament on Thursday, and it would be distributed among victims of the riots. The riots broke out following the assassination of the then prime minister Indira Gandhi by her Sikh bodyguards on October 31, 1984. Of the 3,325 victims, 2,733 were killed in Delhi while rest of the victims were from Uttar Pradesh, Haryana, Madhya Pradesh, Maharashtra and other states. 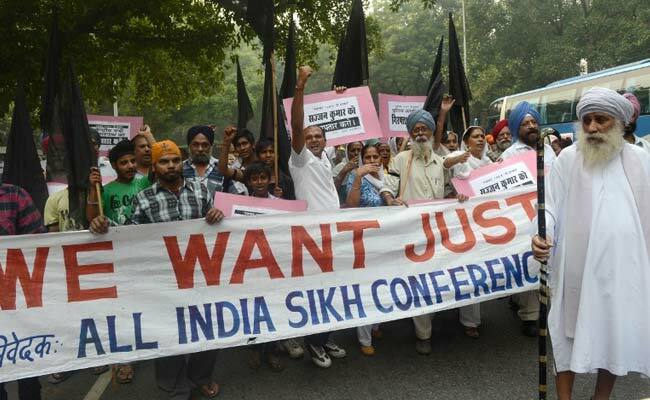 Some of the anti-Sikh riot cases are still continuing in courts and many Sikh organisations have alleged that the key conspirators of the violence were at large and victims have not yet got justice.